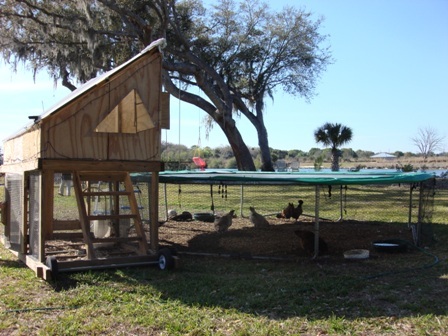 This entry was posted on March 9, 2010 at 12:24 pm and is filed under Chickens with tags chicken ordinances, chicken tractors, Chickens, chickens and neighbors, fresh eggs, hens, kids and chickens, roosters, solar string lights, trampoline ideas, urban chickens. You can follow any responses to this entry through the RSS 2.0 feed. You can leave a response, or trackback from your own site. This is awesome. I have had these eggs and they are truly wonderful. Thank you. 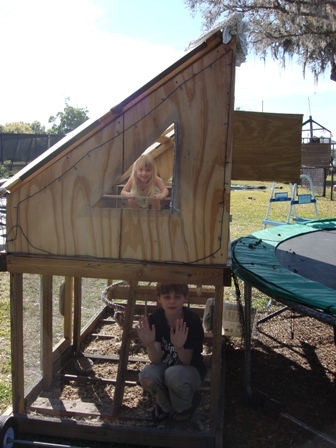 I’m going to drag you along with me to take lots of pictures of Jamaican chicken coops the next time we come. 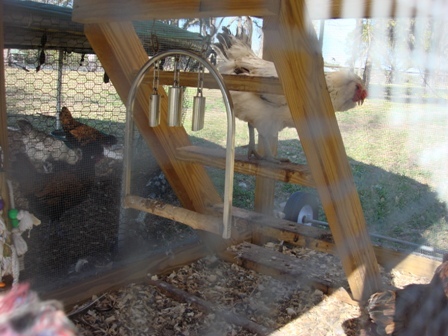 I bet there are some really clever ideas for keeping chickens contained. This would be an adventure! When we’re through, you’ll be keeping your own chickens! 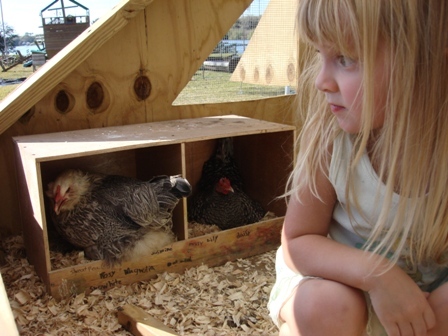 You are probably right , re some clever ideas here for keeping chickns. Larry II and I were looking over your site and remembering playing with Grayson and the chickens. Someday maybe we will have property that we can raise chickens on as well. Larry II can come play with Grayson and his chickens anytime. 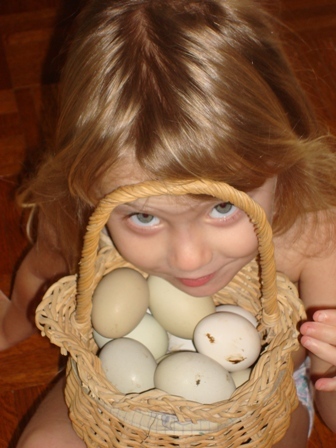 Whenever you’re ready for you’re own little brood, let us know and we’ll help you get started. I’m still new to all this. The more sites i go on the more i learn. I spend more time trying to find good sites that are easy to use and this is one of the best so far. Thanks i’ve learned more today which is always a good thing. God bless you too, Dotsy. (By the way, you have a great name!) We love our little hobby farm and I bet you’re going to as well. Just do one thing at a time and it all falls into place. Get ready… chickens can be hysterically funny. Thank you so much.. I have been so encouraged . I looked at your stuff for hours and can REALLY see myself doing this. 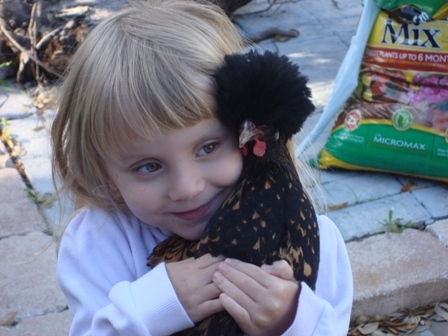 It’s so funny, I had 2 pet chickens as a kid. It’s funny there was a strange connection on your site …you made a necklace of Jasmine blossoms with your lovely child . After Katrina I was in mourning …living in 2 consecutive FEMA trailers (with container gardens ) and I would periodically drive through parts of the city which were recovering.I found a strange old vacant former convent overgrown with jasmine and couldn’t resist trying to root it. I didn’t have much hope but prayed over it and 2 pieces rooted and started blooming when they were only inches high in a tiny pot. Everytime I was sad, the smell of jasmine would fill my apartment (my 4th post katrina home). It’s struggled, sometimes, but has survived and is outside the apartment now, blooming. I pray it makes it to MS and blooms there happy at last. ( by the way I hate sweet potatoes, but they are so nutritious, I eat them all the time, I’m going to try to get some leaves growing, I always wondered if they were edible, I probably would like them. Really enjoyed this post and pictures! Well done!